Featuring the very best in automotive smartphone technology, including Apple CarPlay®, Android Auto™, Dual Bluetooth® connection, plus a reverse-camera input. Choose from a host of entertainment options, including Spotify® Connect, USB/FM/AM, or even Bluetooth music streaming. To stay in-touch, the in-car technology is controlled via the large, customisable 7-inch Clear Type Resistive multi-touch screen, which offers a similar interface to your phone. 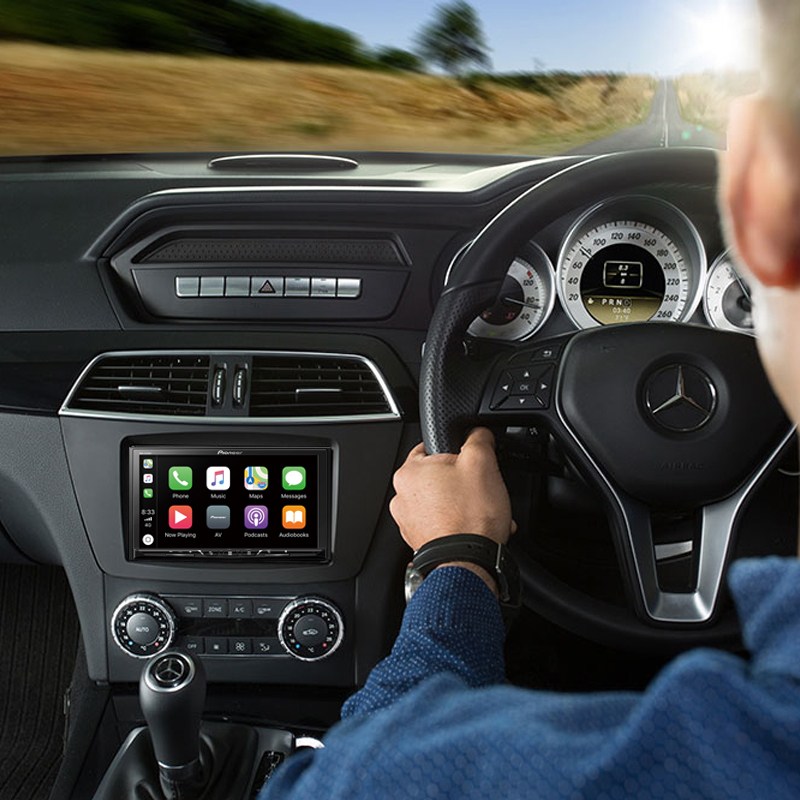 The best iPhone experience on four wheels; Apple CarPlay is a smart and safe way to control your iPhone® in the car. Activate by pressing the Pioneer touch-screen or voice recognition button, Apple CarPlay enables you to make calls, navigate with Apple Maps, WAZE or Google Maps, listen to music, plus send and receive SMS messages. More advanced than ever before, Pioneer has introduced a powerful and intuitive touch-screen interface that is easy to use and highly customisable. Beautifully crisp with enhanced visibility, Pioneer now also supports 24-bit True Colour reproduction of up to 16,777,216 colours.